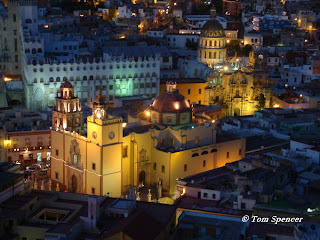 Guanajuato, the capital of the Guanajuato State is a historical and picturesque city full of agreeable little plazas, streets lined with stairs and houses of pastel-colored facades and balconies trimmed with iron work, and flower-filled window boxes. Certainly the type of city you would expect to be filled with tourists seeking to soak in some colonial culture and expats looking for a taste of Mexico’s famous laid back lifestyle. But for some reason Guanajuato has remained relatively obscure compared to nearby popular expat destinations like San Miguel de Allende and Ajijic. Perhaps the city’s steep canyon walls and twisted up-and-down alleyways have discouraged visitors that prefer to get around by car, but if that doesn’t deter you from wanting to visit the crown jewel of Mexico’s colonial cities then you should put Guanajuato on your to-do list. Canadian expat Mark is a stellar example of how moving to another country can be a successful venture, especially with enough planning, appreciation of another culture, and the determination to make it work. 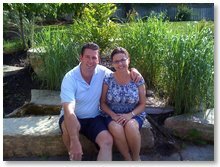 In the following interview, he shares his perspectives of living and working in Mexico, the businesses he and his business partner are running there, and what he and his wife think are the ups and downs of expat life in Mexico. 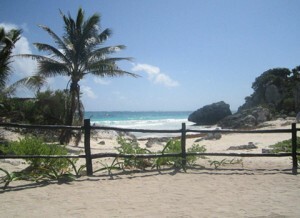 In Tulum, the tourism infrastructure is improving. Drive time to the airport is decreasing. More and more tourists are arriving, and they're doing so faster than ever. There is already a shortage of rentals so it's a place where you could make a strong income from your beach house when you aren't using it.